On the most fundamental level, a trademark is a source-identifying “Mark” (a name, logo, slogan, sound) which is tethered to a good/service and enables a consumer who observes this mark (while on a good) to immediately recognize the source of the good. Perhaps most iconically, a “Swoosh” on a tennis-shoe indicates that the source of the Tennis Shoe is the Nike Corporation. However, in order to obtain a trademark, the good/service must be federally legally and eligible to be sold in interstate commerce. Because the Controlled Substances Act lists Cannabis as a Schedule 1 Drug, and therefore federally illegal, one cannot obtain a trademark if the associated good is cannabis or cannabis related (what precisely qualifies as “cannabis related” is up for debate.) Therefore, U.S. marijuana companies are increasingly hiring their marijuana lawyers to register their trademarks and protect their intellectual property abroad. As Canada is just north of our border and exceptionally Cannabis friendly, Canada is quickly becoming the destination country for cannabis trademarks. Canada, in its supreme legislative wisdom, continues to see the immense future value of the cannabis industry and is making access to it easier and easier. 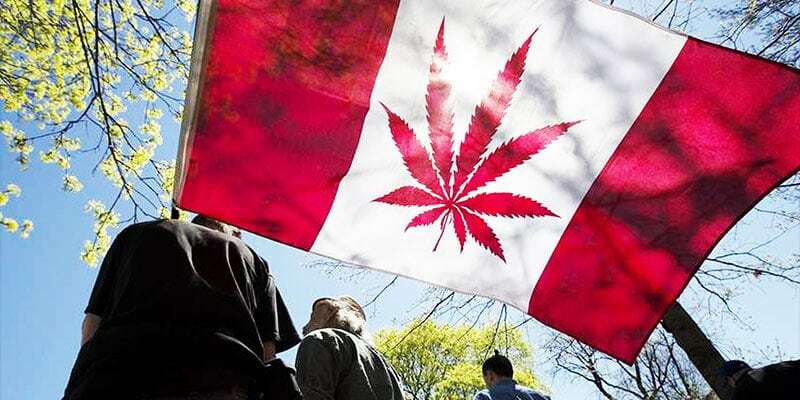 This recognition of Canna-potential has manifested itself in fortuitous changes to trademark law and the new amendments made to Canada’s Trademark Act, which are slated to take effect sometime in 2019. Perhaps most signifigantly, the amended Act has removed the requirement of “prior-use.” Simply, applicant’s will no longer need to demonstrate they have already used the mark in commerce or that they even intend to use the mark in commerce (which ARE existing U.S trademark law stipulations). This is revolutionary indeed. Consider for the moment how and why the United States continues to impose the “use-in-commerce” requirement before granting a trademark. In the U.S, an applicant must show that he either already uses the mark in commerce or intends to use the mark in commerce in the future. If the applicant files the mark on an intent-to-use basis, the business must then submit a “Statement of Use” to the USPTO within six months from the date the Trademark Office issues a “Notice of Allowance” showing that he has in fact used it in commerce. This process is put in place to prevent what is known as “squatting” – a cynical exploitation of our trademark laws whereby an individual/business only files for a trademark to prevent other legitimate companies from using it and/or to extort money from those companies who do wish to use the mark and will have no other choice but to buy out or license the mark from the squatter. Therefore, by removing the “use” requirement, the Canadian trademark office is in effect encouraging (albeit only consequently) a potentially unlimited amount of Trademark squating and abuse. These regulations might seem onerous and perhaps even excessive to an ambitious entrepreneur in the industry but the truth is that a solid (but not overly draconian) regulatory system is essential for maintaining the integrity of the industry. Trademark law is challenging because engineering the correct trademark strategy is as a much a function of smart-business practice as it is a matter of understanding the law. Should an American Cannabis company seek Canadian trademark protections? Well, the answer of course is the ever frustrating – it depends. If a company is well funded and interested in pursuing brand recognition in a multitude of markets, it might very well be a worthwhile undertaking. Options will set you free. Abe Cohn manages THC Legal Group, a team of Marijuana Lawyers providing legal services to the cannabis industry.